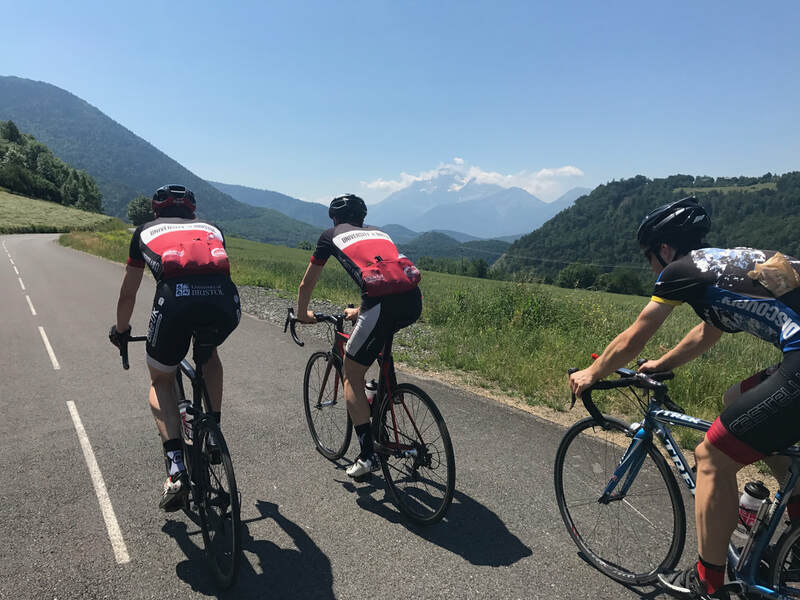 We run club rides to cater for every focus of road cycling, from structured social rides to epic charity rides to circuit races and hill climbs. We want to get you out on your bike, meet like minded people and discover the beautiful countryside around Bristol! Club rides are the heart of the club and run every Wednesday afternoon and Sunday morning. These are the perfect time to make friends and meet people that you'll no doubt end up riding with for the rest of your time at University. "Club rides are the highlight of my week, I love getting out and riding with friends and meeting new faces. They are what have made my time at Bristol so enjoyable!" Club ridea are social rides that take place every Wednesday and Sunday during term. There are groups for different abilities, each one led by an experienced rider or a committee member. Early in first term we run short guided rides for town bikes along the bike paths to Nailsea. These are organised on the forum and announced in the newsletter. Every Wednesday we host a club rides which are usually 1-3 hours long depending on group size and ability. As the nights draw in it's important you remember to bring lights. Sunday morning club rides are longer allowing us to get further out of Bristol or even into Wales! All club runs start on the Bristol side of the Clifton suspension bridge. You'll need a bike and a helmet (members can hire kit by filling out the form here or by contacting the kit secretary). You'll need to carry a spare inner tube and pump as the minimum. A multitool, tyre levers, food, water, and lights during winter are also very (very) strongly advised. If you'd like to go and explore on your own, we have a selection of routes to get you started. If you'd like to organise your own rides, you can organise these on the forum. 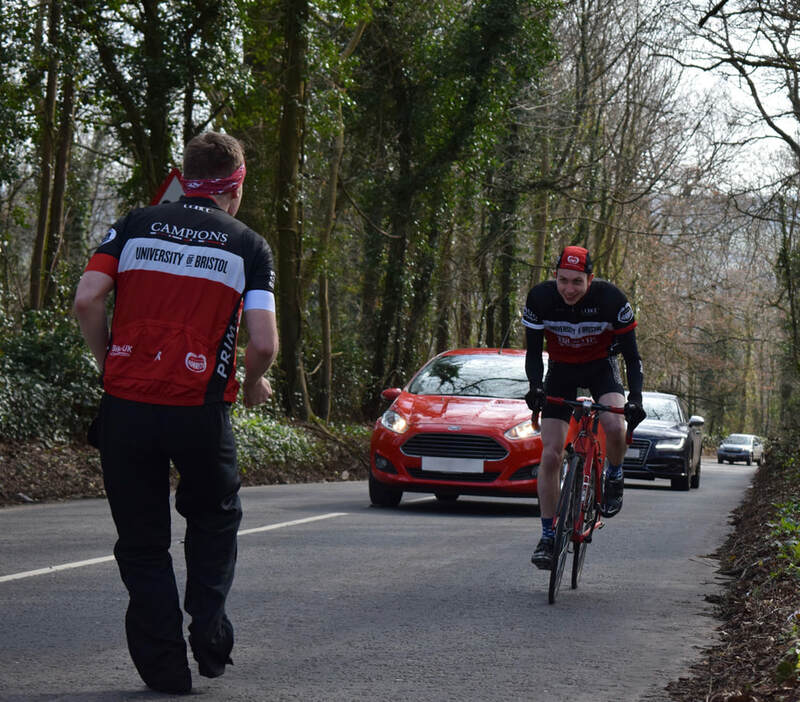 The Performance Squad have specific road training rides on Saturday and during the week. You can find out more here. ​We run a multitude of trips throughout the year to beautiful places such as the Peak District, Forest of Dean, Snowdonia and Brecon Beacons. All club members are invited and all we ask is that you can manage the planned distances advertised. You can check out the upcoming trips in the calendar.